YEA!!! Its going again. Thank you. Thank you, thank you. Quick pantsing with white briefs. Happens around 1:52 but very blink and you'll miss it. The guy is Markus Riva, who is a Latvian singer that works mainly in Russia. It happened on the Russian singing-reality show "Khochu k Meladze", which was one of those Making the Band-esque shows that tries to create a new boyband through voting from viewers and a panel of judges from the music industry. do the comment on the pantsing at all? Do you know which episode this is from? And what is the context here, where both of the people are stripped to their underwear? 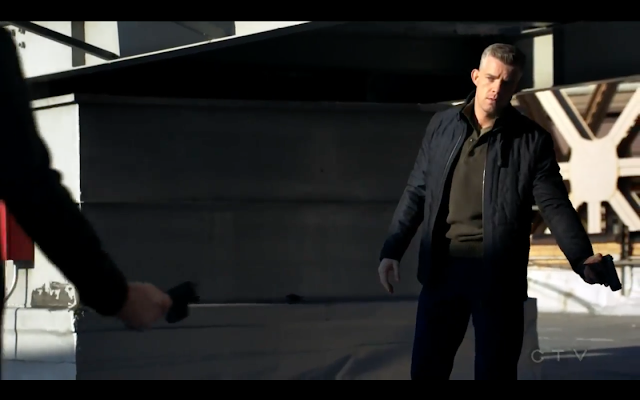 It is from the season 3 episode Spy Games. The two characters are stripping to prove they don't have any weapons or devices. 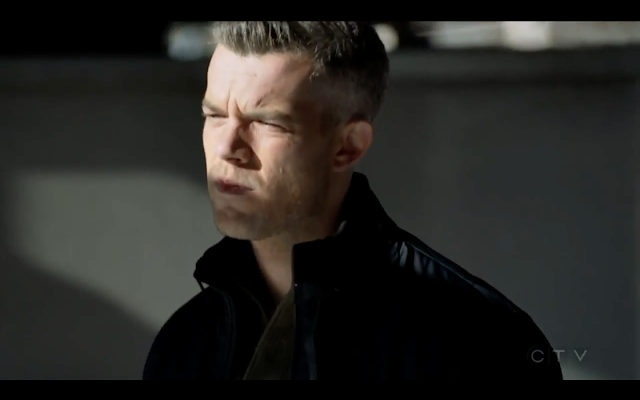 Tovey's character is being watched by an ally named Ryan from another building. When he sees Tovey's underwear he says, "Really Harry? Briefs?"